Boreal Escapes : Northern Ontario's Premier Escape Room Experience! Boreal Winery's Escape Room Games are reality room escape games based on computer and mobile phone games. Escape rooms are an increasingly popular real life, interactive puzzle filled environment that challenges you to think your way out of a locked room. An escape adventure from the ordinary world inside four walls. It’s about team building, working together and getting to know one another's strengths and weaknesses to solve a mental challenge and test your skills. Get to know your teammates like never before in this popular group reality experience! Our Wine Maker will explain the challenge and the rules. Upon entering the climate controlled cellar with your team the cellar door is locked behind you. Forty Five minutes is set on the clock and you must work together in order to find clues, solve puzzles and escape the cellar in this real life adventure that will lead to your escape. It is part scavenger hunt, part puzzle game and part mystery solving…time is ticking! Find hidden objects, make creative leaps, crack codes, solve puzzles and discover secrets that stand between you and your escape. You can sign up for one of our scheduled events and share the experience with other people, or with a group of twelve or more fellow sleuths you can arrange your own private escape room adventure. 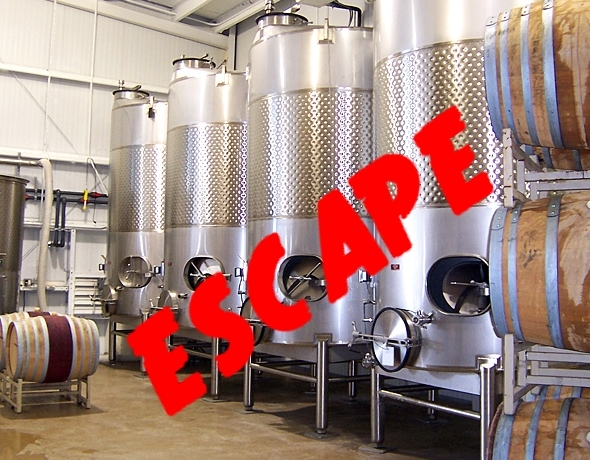 The escape room game takes forty five minutes and is followed by a de-briefing and tasting session in the Boreal Winery Tasting Room to celebrate your success or to figure out where you went wrong. Our fun, real life puzzle game offers mind challenges, ingenuity and more in a true reality escape game of being locked in our real wine cellar. Learn about yourself and your teammates as you face new challenges under time pressure. You must solve your way out by working together. Your team is your greatest asset, and your biggest obstacle. Only by working together, communicating and using your time wisely will you find the items, tools and answers to win. Perfect for team building exercises and corporate retreats! *Team de-briefing questionnaire prepared by our Corporate Management Consultant available as an option for corporate groups. *Groups larger than the game room maximum can book two or more games back to back. Contact us if you would like this option. All Games include the Escape Room Game, and a tasting session of two of our Wines or non-alcoholic Ice Ciders, hosted by our wine maker! The cost is $28.00 per person. Event is 19+. Games are HR appropriate, safe, and free of any mature content. You are the Winemaker in the cellar collecting some late night wine data. The cellar door closes behind you! Trapped in an above ground concrete cave, with no way to open from the inside and no mobile reception, you can't call for help. You have 45 minutes to rely on your wits and puzzle solving abilities to find your escape. Our Great Cellar Escape Room Game is for 6 to 16 participants. Game #2 The Cellar Caper Coming spring 2016!